Available for accommodation 1st May, is this lovely 3 bedroom linked-detached home with the use of a large garage, situated in the village of Birdwell. With a modern sleek Kitchen, a downstairs WC, a large Living-Dining area with French doors opening onto the decking and garden. The spacious hallway gives access to the 1st floor: A large Master Bedroom with amazing views over the Barnsley countryside, plus a further 2 bedrooms and a modern Bathroom. 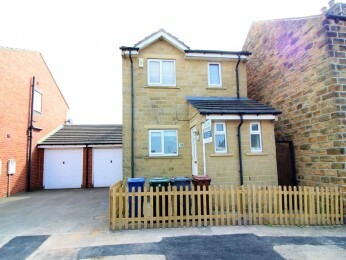 Birdwell gives access to Barnsley and Sheffield, plus close access to the M1.Call us today to register your interest for a viewing!